Take the red-eye. Sleep on the plane, so you can wake up in paradise. Drink Sangriiia. You’ll see signs for this stuff everywhere. Pull off and get some from the nearest gas station STAT. Although it’s called Sangriiia, it’s actually made with rum and acai. You can get it in Capri Sun-like packets (perfect for going to the beach) or as a frozen drink, topped with a cherry! Visit unnamed beaches. 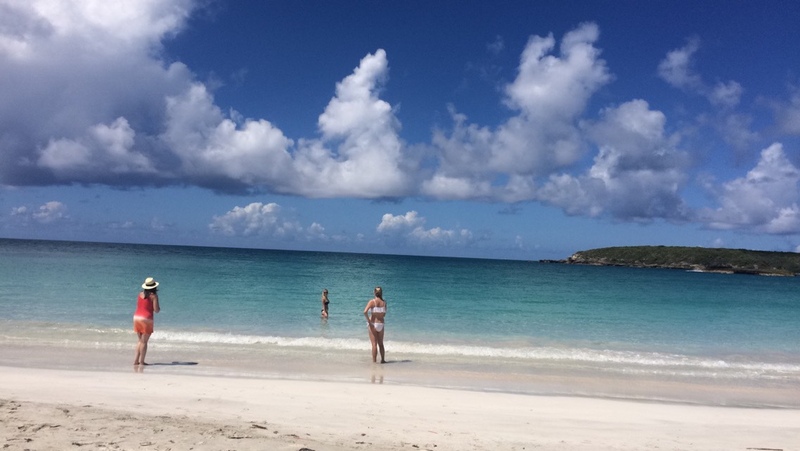 Puerto Rico is filled with beautiful beaches with white sand and crystal clear blue water. 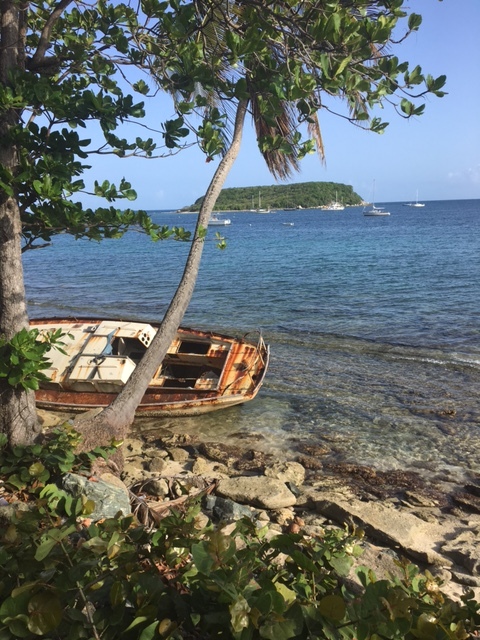 We went to some amazing ones in Vieques (another island that’s apart of Puerto Rico), but one of my favorites from the trip was just pulling over on the highway and hoping into the water. 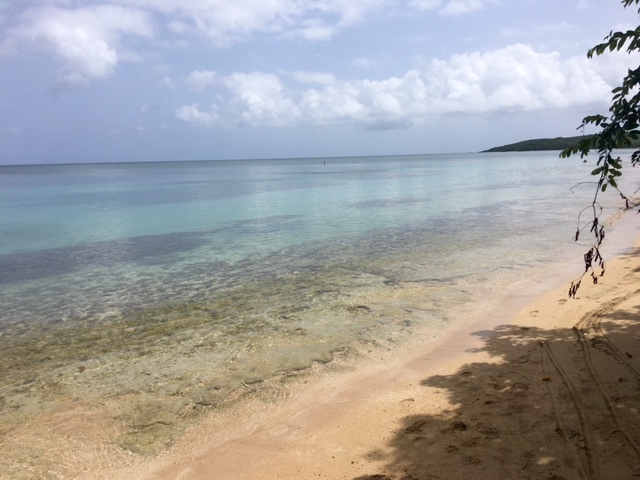 The beach was only a few feet wide and was shaded by palm trees and brush–unlike anything I’ve ever seen in the US mainland. If you’re lucky a stand nearby will be selling coconut arepas as well. Eat a Puerto Rican avocado. It’s way different than avocado here in the states. The skin is smoother and bright green and the taste is light and almost juicy. 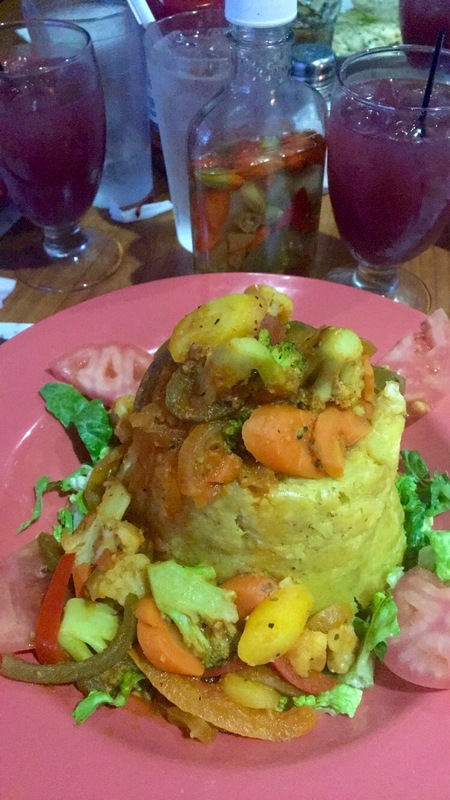 Eat Mofongo. It’s made of platains and can be topped with meat or veggies. Very filling. Very Puerto Rican. 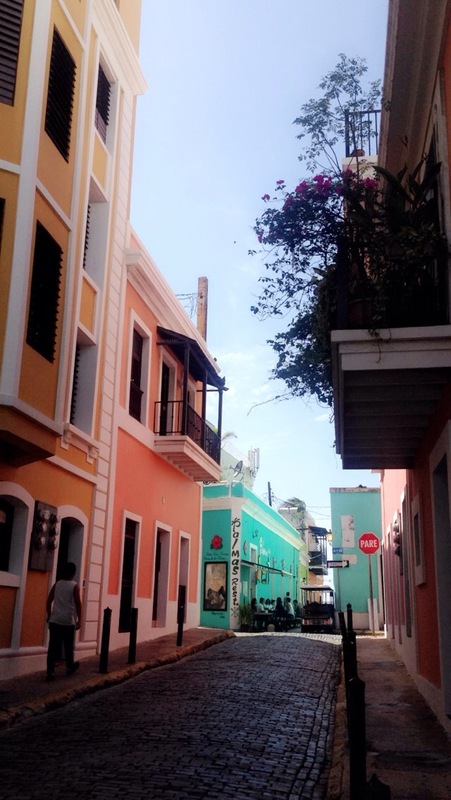 Hit up Los Kioskos de Luquillo. If you’re on your way to/from Vieques or Culebra you pass this line of kiosks on the highway. Pull off and grab a seat at one of the open air restaurants. 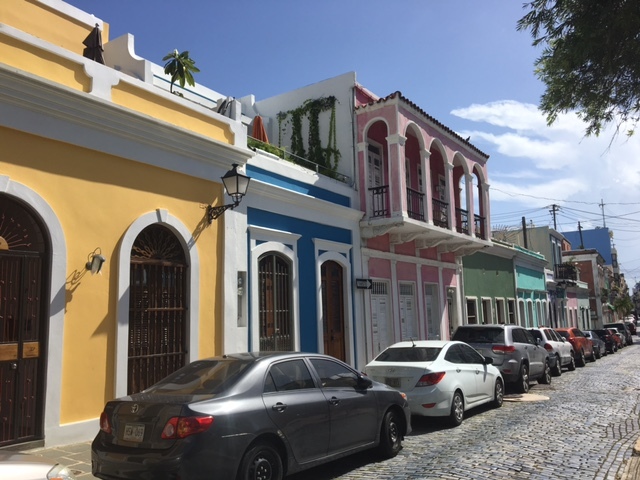 Check mofongo and frozen Sangriiia off your PR bucket list and if you’re adventurous enough try some octopus ceviche or Peruvian food. Party all-night at Brava. If you’re going out earlier than 2am you’re just doing it wrong. We partied it up with a Bachelorette party and then watched the sunrise on the beach. 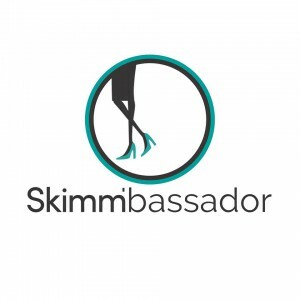 Beware: there’s plenty of skinny-dippers at this time of day. Get breakfast at El Mesón Sandwiches. Hungover? This is the go-to Puerto Rican fast food joint. 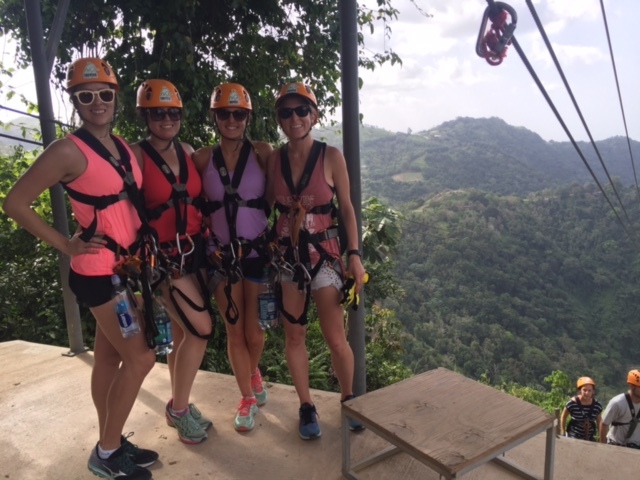 Zipline at El Toro Verde. Home of the largest zipline in the world (El Monstruo). We did the 8 segments + La Bestia. It took a couple of hours from start to finish. It was kind of a pain to drive there – curvy AF mountains with no cell-service. 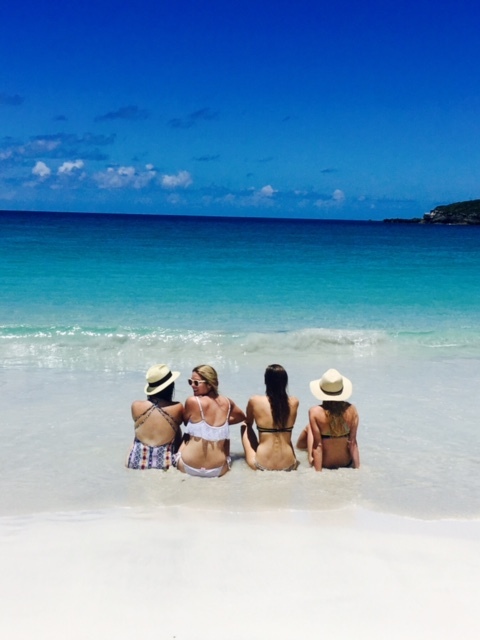 But if you’re on island time with a playlist full of Juanes, you’ll be juuuust fine. 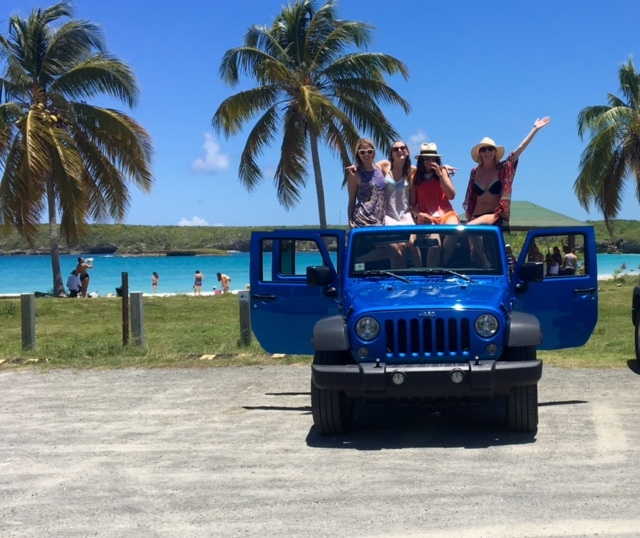 Rent a Jeep and blast “Vamos a La Playa”. 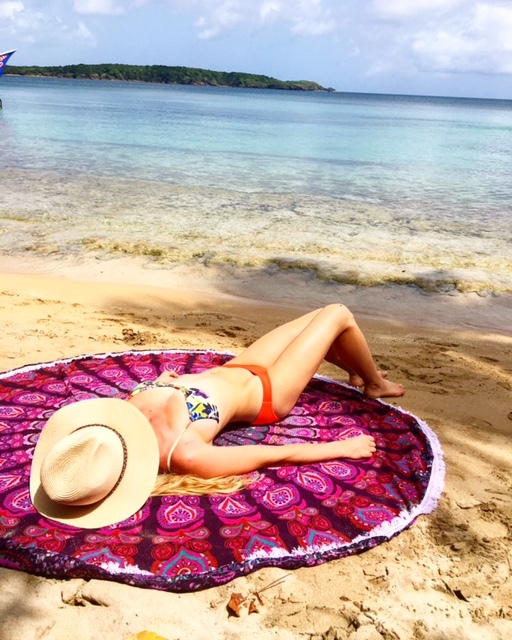 If you go to Vieques, take the plane (it’s like $30 or something). Totally worth not waiting in line in the sun for hours to get ferry tickets. Just know once you get to the island, you’re likely going to need transportation. Call ahead and get a Jeep. Request one where you can take the ceiling off and blast all of the music as you off-road it to get to amazeballs beaches like Playa Caracas. Kayak the Biolumencent Bay in Vieques. The largest biolumencent bay in the world. It’s super hard to take pictures (and everything online is wildly photoshopped), so it’s something that you have to see in person. When the water moves, the microorganisms light up like glow-in the dark stars. It’s magical. You expect mermaids (or pirates) to pop up any second. 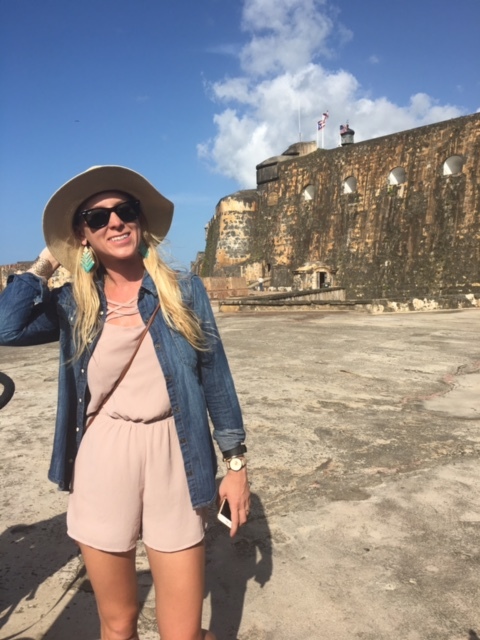 Visit El Morro. You gotta do something nerdy on every trip right? Entrance fee is $5 (be sure to bring cash!) and you can get some spectacular views of the bay and take yourself back in time. Warning: the hill that everyone is flying kites and rolling down is a popular spot for high school kids to get drunk (and vomit and pee). Perks of traveling with a local is that you know not to step on the grass. 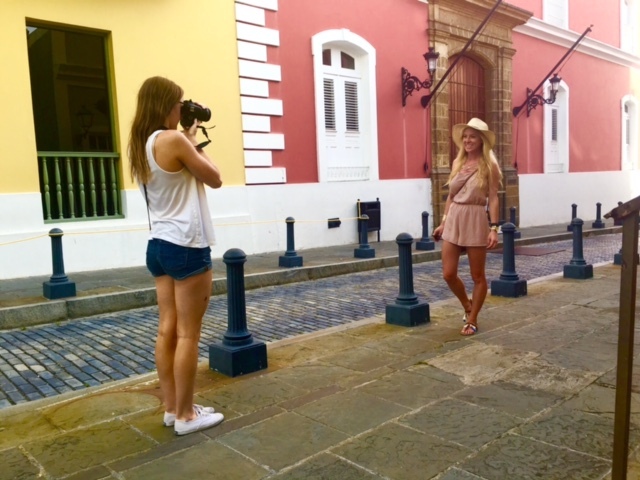 Wander around old San Juan and take a zillion insta-worthy pics. If you think the color walls in Houston are fantastic, you haven’t seen anything yet. 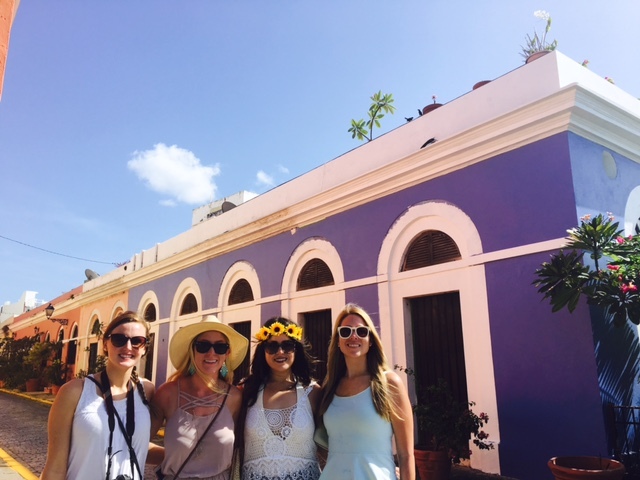 The interior decorators of the 1500s knew what was up because the architecture is absolutely stunning and the city is a whole rainbow of color! 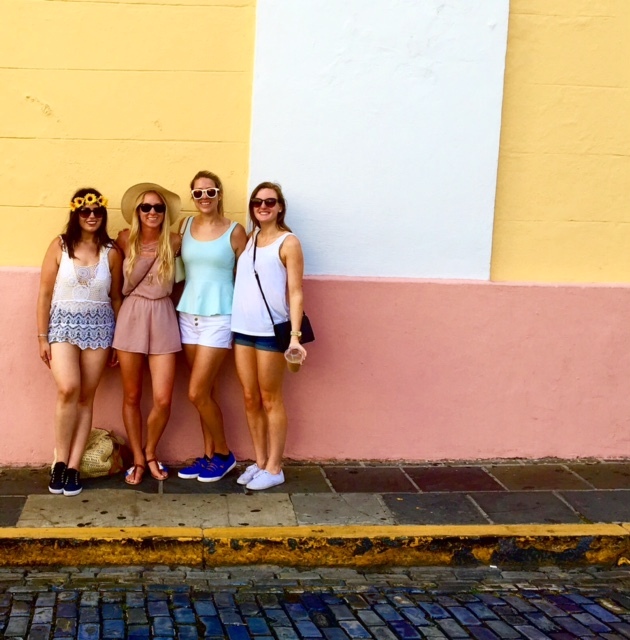 Tags: Beach, color wall, El Morro, island, Jeep, mofongo, paradise, Puerto Rico, San Juan, sangria, travel, wanderlust, ziplining. Bookmark the permalink. 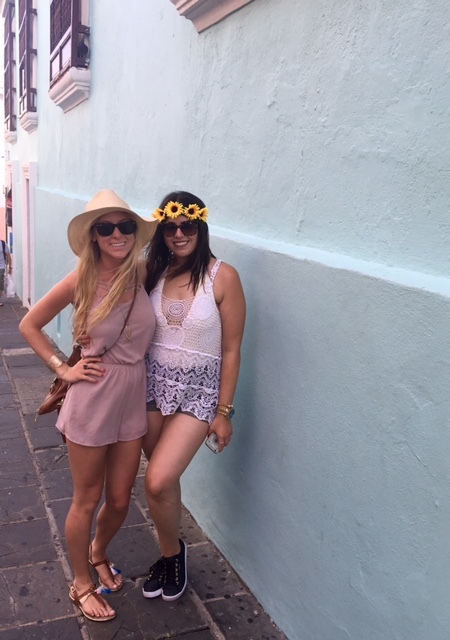 Wow your trip looked amazing and fun! !